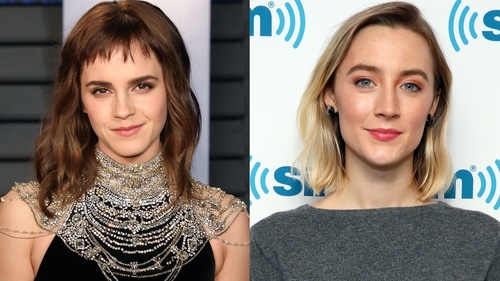 The first set photo from Greta Gerwig's Little Women remake has been released, with cast member Emma Watson sharing the Polaroid to her social media pages. The photo shows Watson alongside co-stars Saoirse Ronan, Florence Pugh, Eliza Scanlen, Timothée Chalamet and writer/director Gerwig. Watson tagged the photos with the character names. She is playing Meg March, Ronan is playing Jo March, Pugh will portray Amy March, Scanlen plays Beth March and Chalamet will play Laurie. She included with a line from the book's author Louisa May Alcott with the image, writing: "I could never love anyone as I love my sisters." The cast members are outfitted in costumes for the behind-the-scenes photo, wearing suspenders, hats and bows, while Ronan has a pipe. Cast members not pictured include the legendary Meryl Streep, who plays Aunt March, Laura Dern who plays Marmee March, Better Call Saul's Bob Odenkirk, and Chris Cooper. Ronan and Chalamet are reuniting with their Lady Bird director Gerwig for the project which is due to be released in December 2019.